We are raising money for Our Lady of Guadalupe Parish of Minnehaha County. On December 19, 2018, a fire caused damage to the inside of the church. As a community, let us help repair our beautiful church. Thanks in advance for your contribution to this cause that means so much to the Sioux Falls Community. God bless you. Hubo un incendio el 19 de diciembre en la parroquia de Nuestra Señora de Guadalupe en Sioux Falls, SD. Como miembro de la comunidad Católica, quiero recaudar fondos para ayudar con la restauración de la parroquia. Les pido un favor, hagan una pequeña donación y compartan este enlace en sus redes sociales. Gracias antemano. If you wish to give directly to the Church, you can send cash or checks to 217 N Sherman Ave. in the name of the Our Lady of Guadalupe Parish. The work in the church has begun. Soon the whole ceiling should be demolished. I’ll continue to post updates as we get closer. Thank you to our benefactors once again. For all those how have given, thank you for your generosity. As of right now, we are waiting to see what the final bids of the contractors are before we begin reconstruction. The insurance will cover what was present before but nothing more. So whatever, additions or improvements that are made will be covered by the parish. Your help is deeply appreciated and desired. 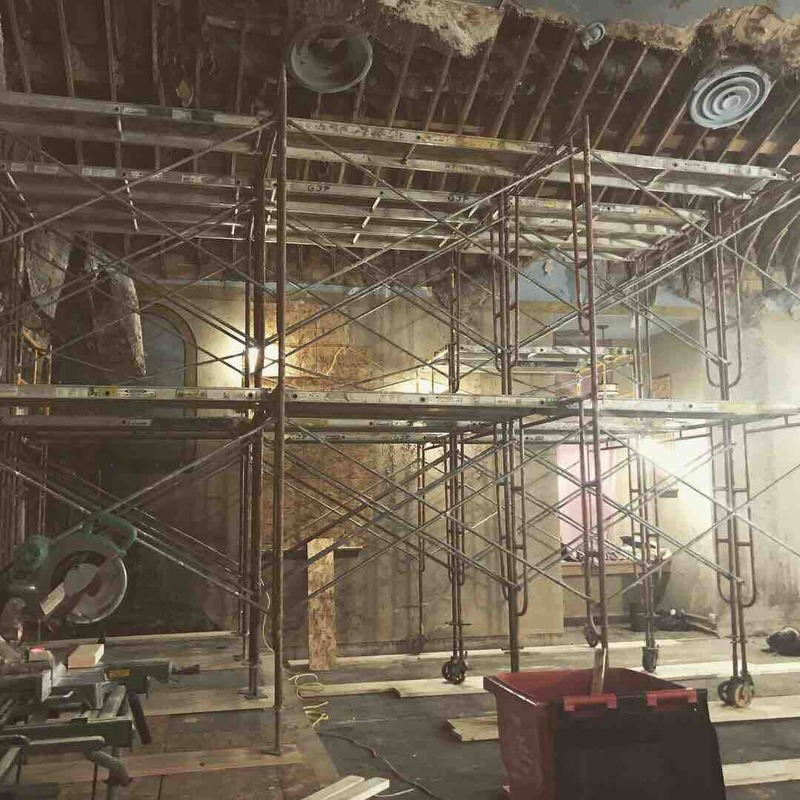 With putting in a fire system, repairing a broken HVAC, remodeling the kitchen that was ruined by the fire, and changing out the floor for tile, this will be a huge undertaking. We may not be back in the Church by May but we are going to try. Thank you All. Thank you for your prayers and donations. We appreciate you. May Christ fill your hearts and home with His Peace, Love, and Mercy. 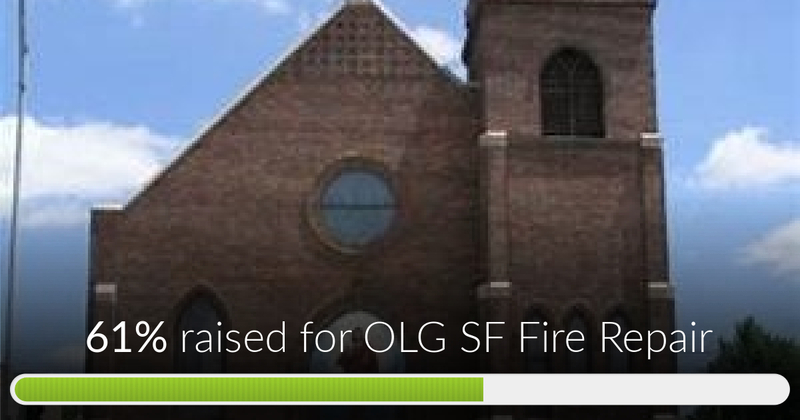 OLG SF Fire Repair has reached 61% of its goal. Thanks to 35 donors. We are grateful. May the good Lord bless you today and everyday.